3790 N Tradition Way Lake Havasu City, AZ. | MLS# 925301 | Real Estate and Homes for Sale in Lake Havasu City! 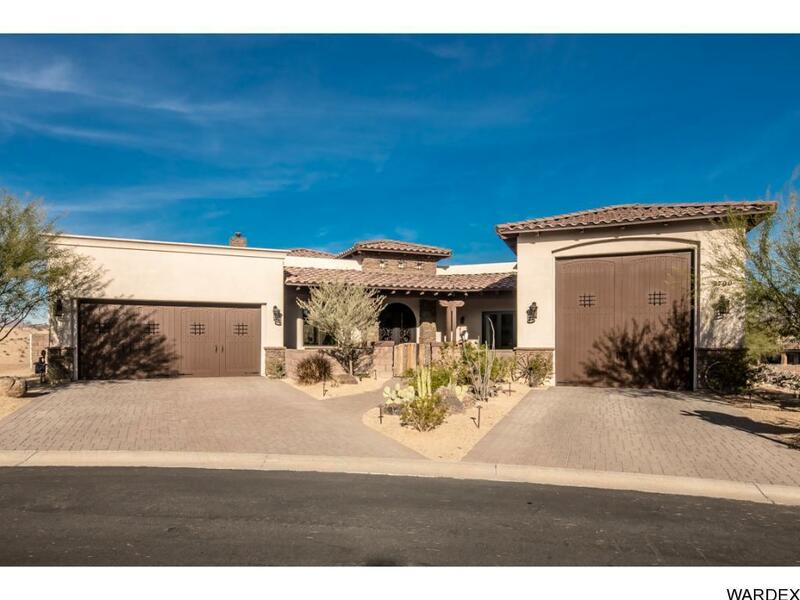 DARE TO COMPARE...one of the BEST QUALITY residences ever built in Lake HAvasu!! Custom architectural design with 6000+ sq. ft. under roof, all SINGLE LEVEL living. The indoor/outdoor living areas flow seamlessly with pool, spa, views! *4 Beds/ 5 Bath, *Main House 3880 Sq. Ft., *Guest Living 615 Sq. Ft., *Garages 1578 incl 50' cooled motorhome bay, *Built in 2015, *17' Barrel radius ceilings, *Knotty alder columns, *2 Fireplaces w/French limestone hearth, *Hand chiseled Travertine floors, *Furniture quality vanities, *3 Shaw Kitchen farm sinks, *French farmhouse kitchen, *Luxurious Master suite, *Restaurant quality pro stainless appliances, *6 burner gas range, double ovens, garbage disposals & dishwashers, *Granite & Quartzite counters, *Knotty alder bartop w/ Tennessee barn wood accents, *Solid wood covered patios w/beam overhangs. EXTREMELY ENERGY EFFICIENT w/natural gas, LED lighting, Pella doors/windows, 100% over insulated including garages, interior walls, 5 separate HVAC zones/units....LOW, LOW energy costs!